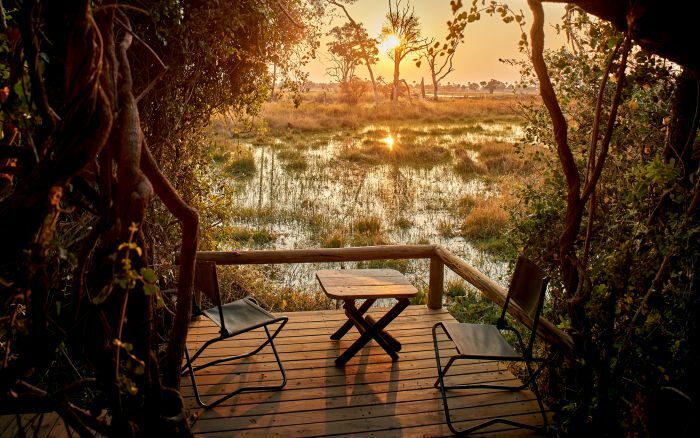 At Oddballs you feel close to nature, whether resting in your tent, relaxing on the viewing deck or gliding silently along the waterways. 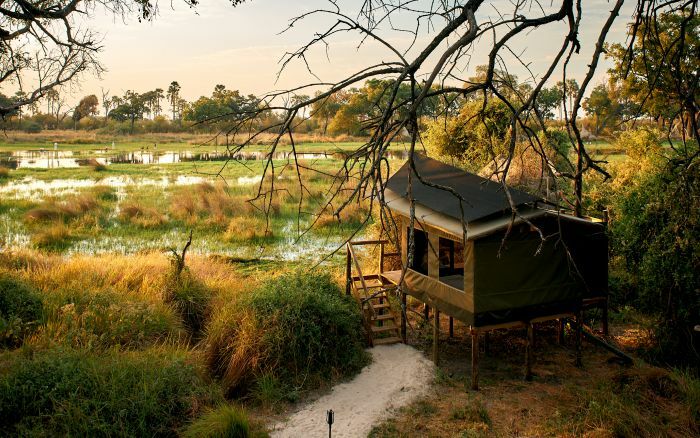 There is nothing to distract you from the beauty of the world around you, on the contrary the camp has been designed to optimise your appreciation of life in the Okavango Delta. 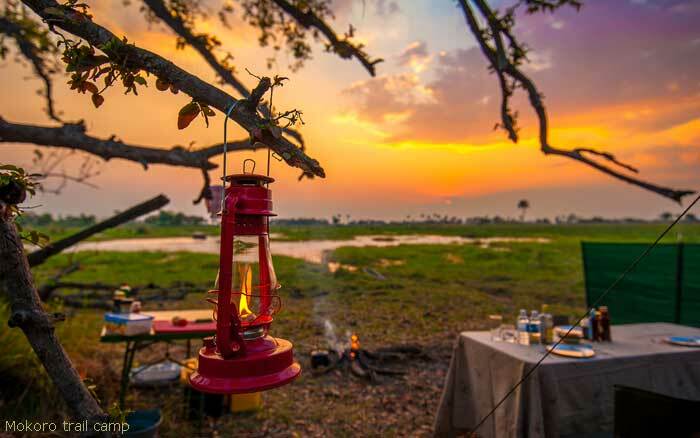 The camp can only be reached by light aircraft, and on arrival at the airstrip you are met by the guide who will accompany you on all your explorations during your stay. The guides at Oddballs are local and know and love this special place. 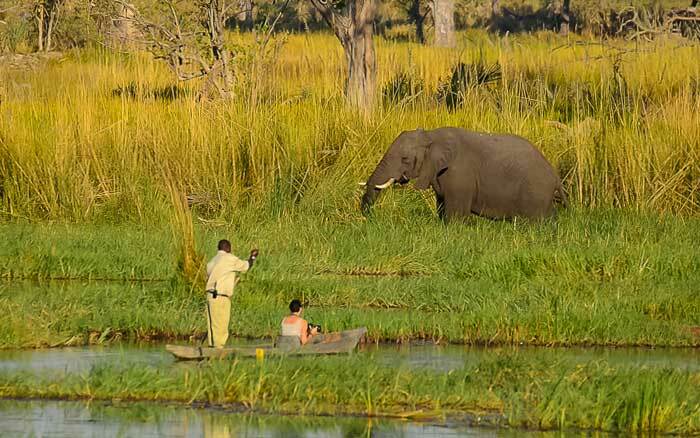 You benefit from this expertise and passion as you go for mokoro rides to islands in the delta, and take walks to discern signs of life, track animals, watch birds and understand the intricacies of the ecosystem. 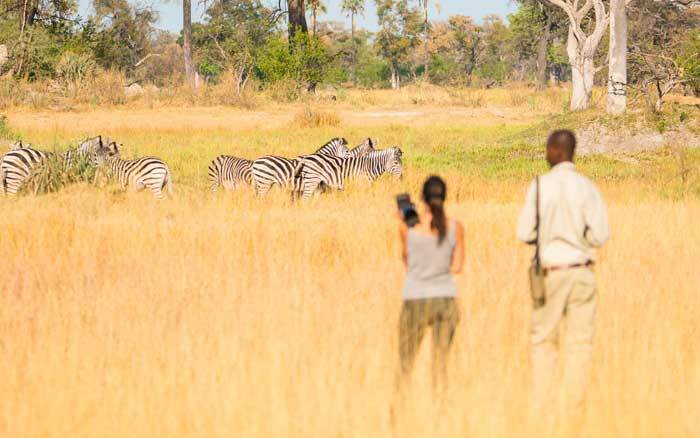 All safaris are conducted to the soundtrack of the bush, with no engine noise to disturb the scene. 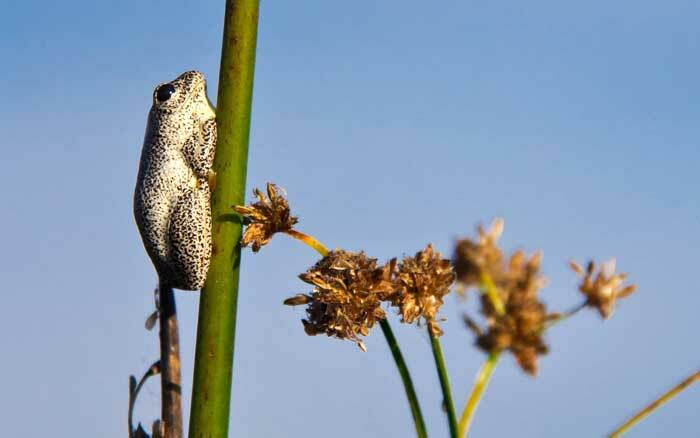 As a general rule activities take place twice a day, in the early morning and late afternoon, avoiding the hottest part of the day, though full days out can be arranged. 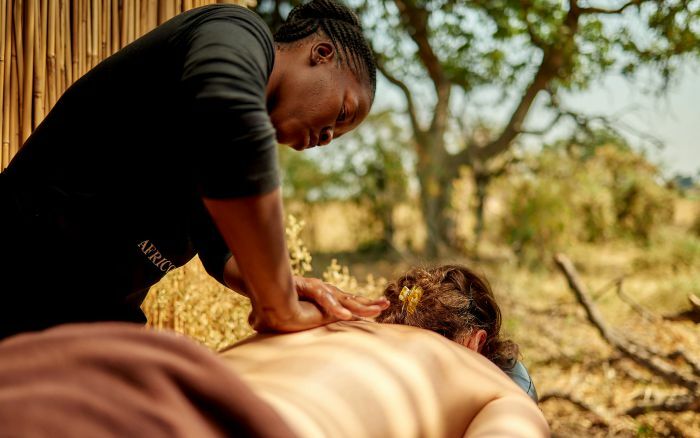 If you’re staying 4 nights or more you may be able to take mokoro trips and camp overnight for a yet more intense bush experience. 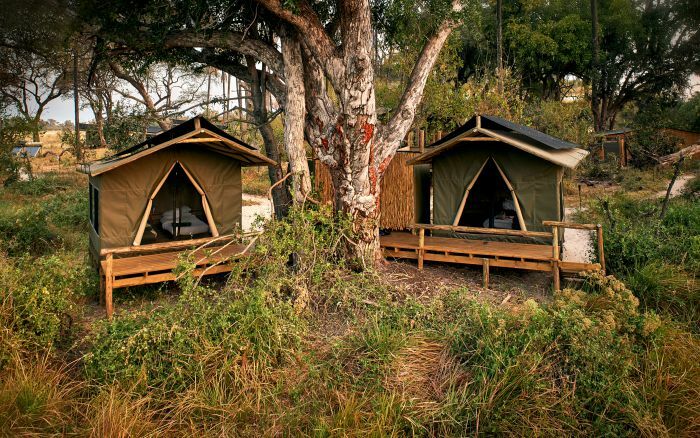 The camp is simple, devoid of frills and gadgets, yet provides all you need for a comfortable stay. 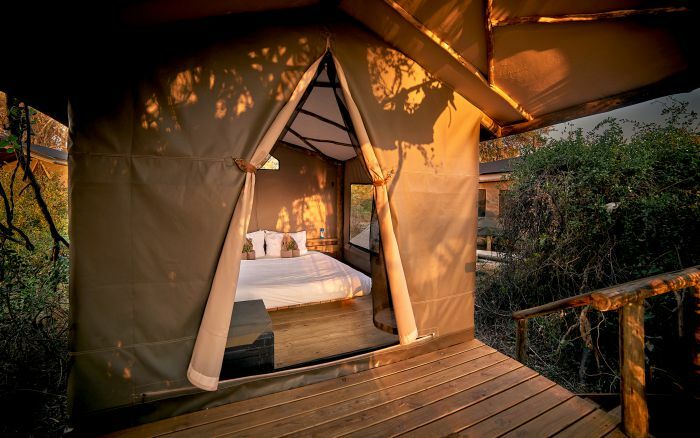 Accommodation is in safari tents set on raised decks and with proper beds and room for storage. The tent flaps roll up so you can enjoy delta views from within. 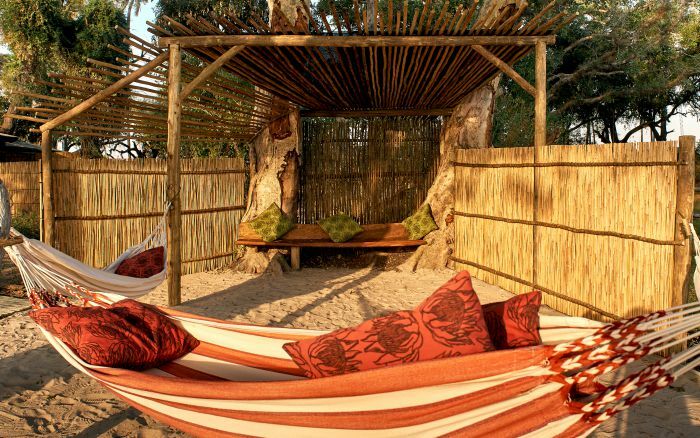 Every tent has a linked bathroom, open to the sky, with a hot water bucket shower and hand basin. 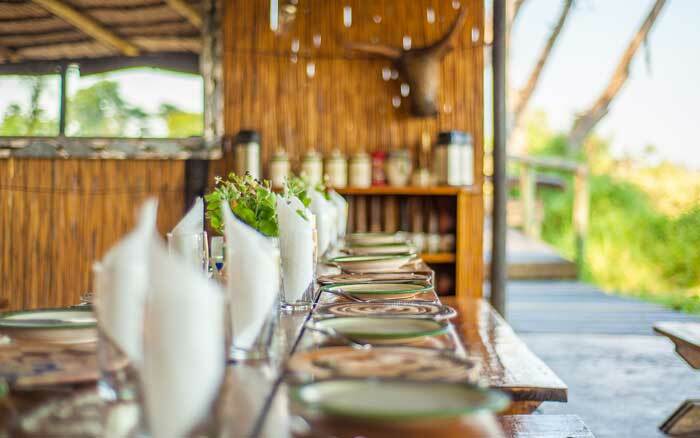 The lounge-bar and dining tent are the main social areas in camp, where you chat to other guests and enjoy drinks and tasty meals, and lead out to a firepit. 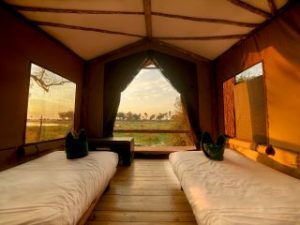 There is also a terrace with far reaching views over the delta, where you can watch wildlife and enjoy colourful sunsets along with a chill-out zone, where you can while away some time in a hammock. Children of all ages are welcome. There are 2 family tents sleeping up to 2 adults plus 2 children. 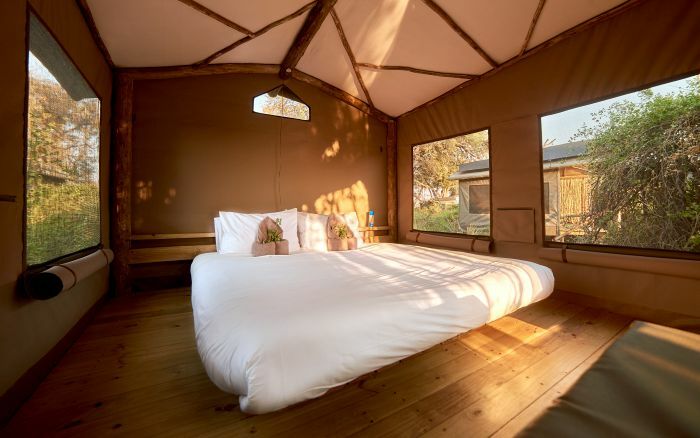 There are 15 simple dome tents including 2 family units. Each is set on a deck reached by a small flight of steps, and has comfy beds, storage space and an attached ope air bathroom. Decks have lovely delta views.